I saw this DIY in this month's issue of Martha Stewart Magazine and had to share. 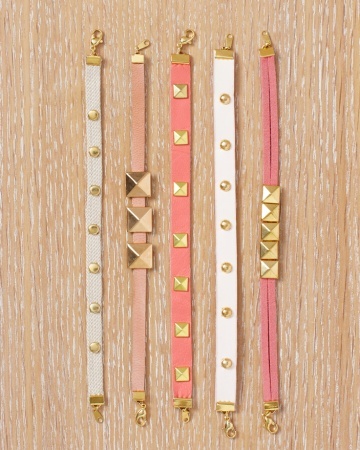 Studded jewelry is so hot right now, this could be a perfect and beautiful DIY gift for your bridesmaids. Thin webbing and leather straps, 1/8" -1/2"